Point Pleasant Resort - TM. 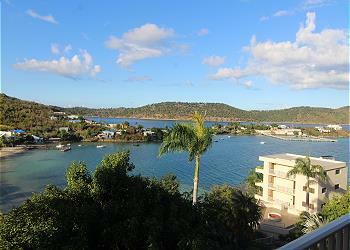 Enjoy relaxing in this nicely renovated hilltop suite with wrap around balcony offering island and water views. Point Pleasant Resort - TM. Beautifully renovated ocean view suite with private wrap around balcony and only steps away from the hilltop pool and resort lobby. Point Pleasant Resort - TM. 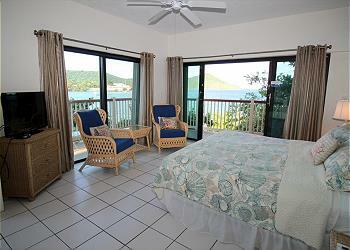 This tropical and water view suite is located on the waterfront near pools. Point Pleasant Resort - TM. 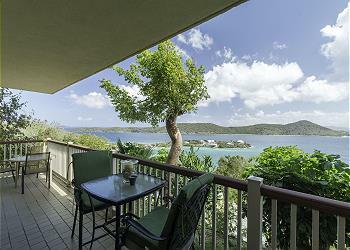 This water and island view suite offers a wrap around balcony for enjoying the water and island views. Point Pleasant Resort - TM. 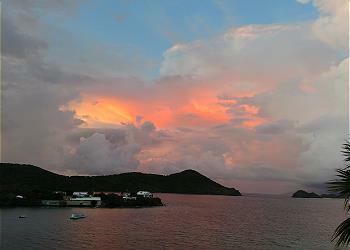 Remodeled suite with 140 Degree Wrap Around Balcony View Overlooking Water Bay, Down Island British Virgin Islands And The Caribbean Sea. Gentle Breezes Surround You When Relaxing On the 2 outdoor Loungers.